Learning the alphabet forms the foundation of your child’s education. By the time a child enters kindergarten, many schools, like Medina Christian Academy, prefer a student be able to recognize capital and lower case letters and know all their beginning short vowel sounds, according to Dana Anzevino, Pre-K 4 teacher at the Medina-based school. “We also try to teach some basic sight words before entering kindergarten and teach children to mock a rhyming word,” she adds. 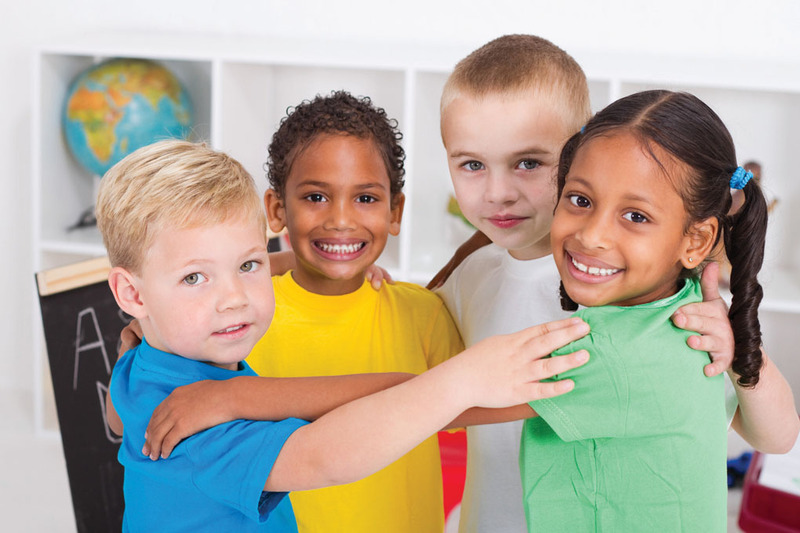 Children also should know two or three nursery rhymes by heart, two or three favorite songs by heart, be able to recognize their own name in print, and know the difference between numbers and letters, according to Susan Canizares, chief academic officer at Learning Care Group, which operates Childtime Learning Centers, among other brands. Whether you’re supplementing your child’s preschool education or teaching the beginning basics at home, following the proper methods for learning the alphabet can give your son or daughter a strong start. Teaching the basics doesn’t just begin before children head off to school. They can begin learning as infants. Bowling adds that as children grow through the early childhood years, they will begin to naturally express interest in letters they see in books and in their environment. Parents can make up little letter rhymes or sing songs. When it comes to teaching the alphabet, she encourages parents to have fun with their youngsters. “Give them items that will not only entertain but also engage their learning: books, letter blocks, letter magnets, songs and dances, picture cards and so much more,” Anzevino notes. Parents can point out different objects and identify the letter through the object. Examples include “T for truck” or “D for doll,” etc. To ensure your child is organically exposed to written words in everyday life, Bowling recommends labeling items in your house so your child begins to recognize letters associated with familiar objects. Also, when reading to your child daily, “expand on what you read by asking your child who-what-when-where-how-why questions,” she adds. She notes there are many alphabet books available that show objects that begin with each letter. There are scores of apps available, but Anzevino particularly recommends the following: Monkey Preschool Lunchbox; Handwriting Without Tears; TeachMe: Toddler; “Bug” games including Bug and Bubbles, as well as Bug and Buttons; Bob Books; Starfall; and The Joy of Reading. There are many letter-related tv shows and DVDs. Parents can help their children choose programming that is educational and fun. Once your child is able to recognize and name letters, it’s time to “crack the code,” Bowling says. “Once your child recognizes their letters, the next step is to help them learn the sounds associated with each letter. These are the stepping stones to reading. To help your child progress, Canizares recommends continuing to read aloud together, re-reading their favorite books.